It was most glittering moment for the Afghanistan as played their maiden historic test match in the red ball format. Afghanistan struggled, they have waited and finally, Test cricket will have a new nation. Rashid Khan became the first bowler who conceded 147 runs by any bowler in an innings in a team's inaugural Test match. Previous it was Amir Elahi of Pakistan who conceded 134 runs against India in Delhi 1952. For Afghanistan, holding and having a trust on the old ball strategy worked for skipper Asghar Stanikzai. 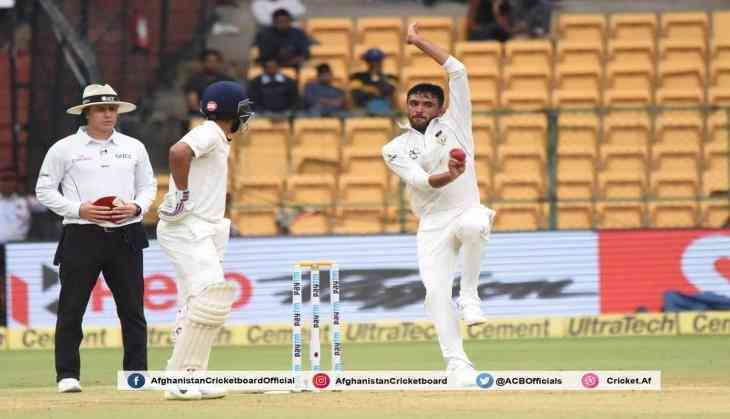 Afghanistani magician Rashid Khan looked much better with the old and created pressure from one end along with other spinner Mujeeb Ur Rahman.